In hoping to replace my 2000 Cherokee,with 170,000 miles, I purchased a 2008 Liberty. Since it says trail rated, has the skid plate option and is a Jeep, I assumed it would have comparable "off road capability" as the Cherokee. WOW! Was I wrong! Anything rougher than a gravel road makes for a real adventure. Very minimal ground clearance and the independent suspension make this vehicle unusable off road. I am thinking of selling this Liberty and keep fixing up the Cherokee, a true JEEP. Larry's Comment: Putting the same logo on something that cannot stand up to the historic Jeep toughness and off road capabilities has been a problem with many Jeep "purists" (like me). The Cherokee XJ proved itself worthy of the Jeep title because it could stay up with the venerable Wranglers and CJ's on almost any trail run. 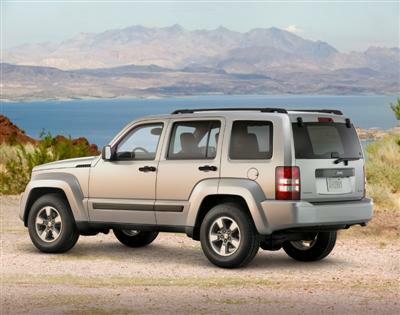 The Jeep Liberty is not a bad vehicle...for what it was designed to do...but when unsuspecting buyers expect to get the same off road performance as the Cherokee, CJ or Wrangler, they often have the same sentiments as you. I agree. The Liberty should DEFINITELY not be badged "trail-rated"! I think this SUV could be categorized with Chevy Equinox's & such! The lack of any aftermarket parts should've given you a clue that this particular Jeep (along with the Patriot, Compass, etc.) is not really a good platform for a truly off-road capable vehicle? I have seen 1 or 2 in the magazines that have been built for trail-use but I'm sure they had to fabricate one-off parts & spend a bit of dough to get them that way! Sorry for your disapointment…I would be upset too! I'm guessing you'll be trading-in on a capable Jeep? I have a 2005 liberty and pull XJ's and Wranglers out all the time. I have done nothing to it at all. In '07 or '08 they ruined them. You should have known better when you seen that they moved the spare from the tailgate to under the rear which was the first clue I noticed when I went to upgrade one day. Needless to say I kept my '05 and just done $3000 in mechanical repairs, but couldn't be happier with the old girl. Sometimes newer isn't better.